Hello! 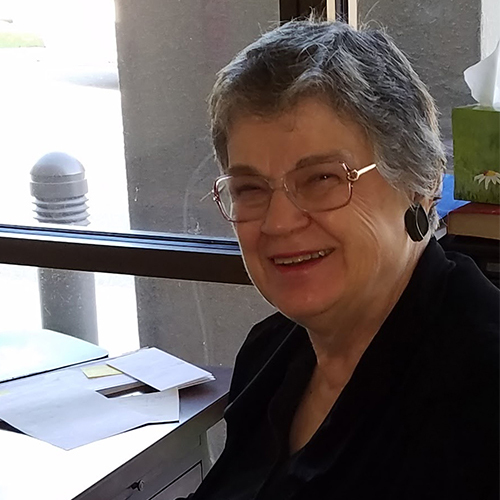 I’m Suanne Comfort and I love making music with the vocal and handbell choirs at RCC. After teaching elementary vocal music in Raytown Schools for many years, it is a privilege to use the glorious gift of music to help mold and shape children of all ages in the image of Christ. We would welcome your talents in the primary choir, the children’s choir, the junior-senior high choir – the Inspirations, and the Sanctuary Choir. I have directed the handbell program here since the beginning and we have handbell choirs for all ages. Our handbell choirs have rung in most of the 50 states, Canada, and Mexico. Handbell ringing is a great way to learn to read music and participate in leading worship. If you are interested in ringing or singing with any of our choirs, I would love to visit with you at Music@rcc.org.